Some of the most frequent complaints from patients visiting emergency rooms throughout the United States concern chest and abdomen pain. 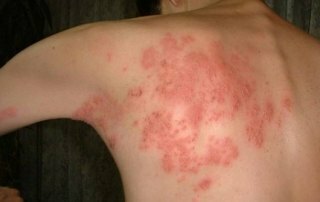 Internal injuries and external ailments such as herpes zoster (shingles) are extremely painful and can develop without much warning. Diagnosis and treatment for these types of pain can be complicated due to the areas in which they occur. An intercostal nerve block is an out-patient procedure where a medicated injection is administered around the intercostal nerves that are located under the rib bones. 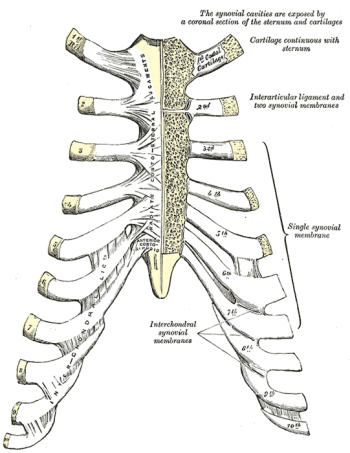 The nerve block minimizes the pain sensation within the chest and abdomen, aiding in analgesia for the patient. Physicians frequently recommend intercostal nerve blocks to patients who have been experiencing chronic pain and inflammation in the chest and abdomen for a long period of time. Patients who have not found success with opioid treatments, or would prefer not to use that method, find intercostal nerve blocks to be a suitable alternative treatment method. It is common for intercostal blocks to be used by physicians during invasive chest and abdomen surgeries to minimize analgesia. How Is an Intercostal Nerve Block Performed? A physician may recommend an intercostal nerve block be performed for diagnostic or therapeutic purposes. Diagnostically, an intercostal nerve block will be able to confirm whether a patient’s pain is originating from the area of the body that is injected with the nerve block. If the patient recognizes a significant decrease in pain after the injection, it would signify that the pain is located in the precise area of the injection. If they experience no change in pain, it would signify the pain origin is located in a different area. Therapeutically, intercostal nerve blocks can provide a patient with temporary pain and inflammation relief in the problematic area. Watch An Intercostal Nerve Block – Performed Live! Intercostal nerve blocks are done as an out-patient procedure and take only a few minutes to perform. The patient receives the nerve block injection while sitting or lying on their side, exposing the area of the chest or abdomen where the injection will need to be inserted. The patient has an antiseptic solution applied to clean the skin before the injection takes place. 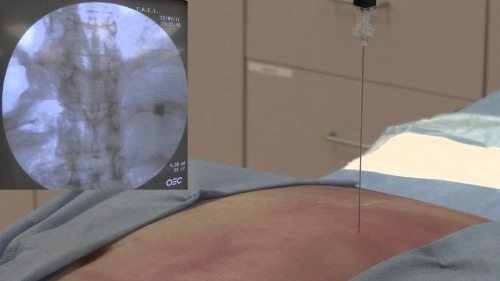 A needle containing the nerve blocking agent is then inserted into the area that is causing the patient chronic pain. Once the procedure is completed, the patient may feel pain free for a period of time due to the lingering effects of the local anesthetic. It is recommended that patients ice the injected area after they return home and minimize activity for the next 24 hours. An intercostal nerve block is a relatively safe treatment, but some side effects may occur. Skin discoloration, bruising, bleeding, tenderness in the injection area, hematoma, allergic reaction, infection, and local anesthesia toxicity have been reported. The pain relief supplied by the nerve block injection will usually take up to a week to be noticeable to the patient. Patients who are suffering from any type of injury, bone cancer, or other ailments of the chest area have found intercostal nerve block treatments beneficial for pain and inflammation relief. Intercostal nerve block treatment is also recommended as a pain reliever during invasive surgical procedures such as a thoracotomy, making the surgery more manageable for the patient. Patients who are unable to undergo certain types of surgeries due to other health conditions may use intercostal nerve blocks as an alternate form of treatment. Many reports show that patients who suffer from chronic pain in the intercostal nerve area have found this technique to provide longer pain relief than many opioid medications. There are numerous chest and abdominal conditions in which an intercostal nerve block can provide pain relief for patients. Physicians frequently recommend the procedure to patients who experience chronic pain and to those who are scheduled to undergo invasive surgery in the chest or abdominal region. Intercostal nerve blocks do not provide permanent pain relief for patients, but the effects can last for a few months per injection. Bulger EM, ArnesonMA, Mock CN, Jurkovich GJ. 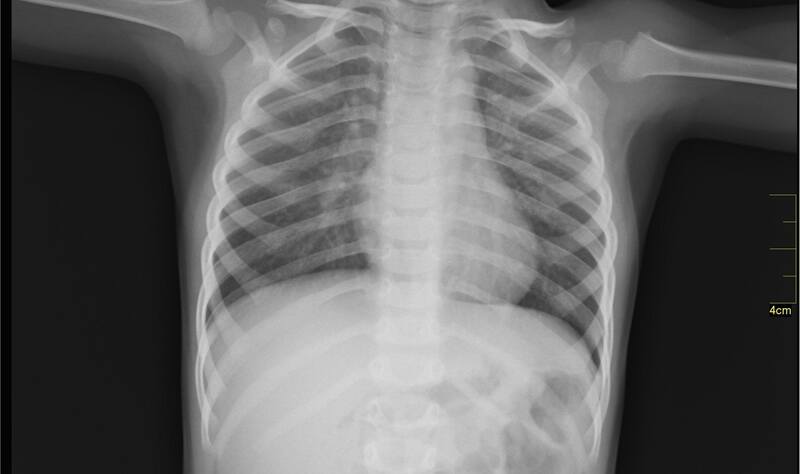 Rib fractures in the elderly. J Trauma. 2000;48(6):1040–1046. Debreceni G, Molnar Z, Szelig L, Molnar TF. Continuous epidural or intercostal analgesia following thoracotomy: a prospective randomized double-blind clinical trial. Acta Anaesthesiol Scand. 2003; 47: 1091–5. Joshi GP, Bonnet F, Shah R, et al. A systematic review of randomized trials evaluating regional techniques for postthoracotomy analgesia. Anesth Analg. 2008;107(3):1026–1040. Lennard T.A. : Pain Procedures in Clinical Practice. Philadelphia, Hanley & Belfus, 2000. Moore K.L., Agur A.M.R. : Essential Clinical Anatomy. Philadelphia, Lippincott Williams & Wilkins, 2006. R Jain, S Mishra, G Goyal, H Chauhan, S Bhatnagar. Management of Central Nervous System toxicity after Intercostal nerve block with bupivacaine. The Internet Journal of Anesthesiology. 2007 Volume 17 Number 2. Schimmer BP, Parker KL. Adrenocortical steroids. In: Hardman JG, Gilman AG, Limbird LE. Goodman and Gilman’s The pharmacological basis of therapeutics. 9th ed. New York: McGraw-Hill; 1996:1465-81.